Mumbai: Foreign portfolio investors (FPIs) worldwide believe that India is an attractive investment destination among emerging markets with a favourable trade and settlement cycle, moderate tax rates and adequate investment limits. Among others, these are some of the key findings of the PwC’s Foreign Portfolio Investor Survey 2016-17 – India Moving in the right direction. The optimism towards investing in India is evident from portfolio investments in debt and equity in the country. FPIs have being net buyers in the Indian stock market in FY 2016-17 and investments till July 2016 this year have been 29,918 crore INR. The survey, which gathered views from over 200 participants from across the globe, indicates that investors were satisfied with the tax rates on capital gains, outcomes of the Minimum Alternate Tax (MAT) issue and tax audits, the regulator’s response to queries and the trade and settlement process. However, areas that need attention are GAAR, offshore transfer, safe harbour provisions and the India-Mauritius tax treaty. Approximately two out of three respondents rated the regulator’s responsiveness and India’s current trade and settlement process as either good or great. India follows a T+2 rolling settlement cycle for non-government securities and T+1 for government securities. About 55% of the respondents were found to believe that the cost of trading in India is either moderate or low as compared to that in other emerging markets, whereas 45% indicated that the cost of trading in India is high. In India, the cost of trading includes several levies like brokerage, service tax, stamp duty, STT, SEBI turnover fees, exchange transaction fees and custody fees. Though these costs might seem small on first glance, they can have a major impact on investment portfolios, which churn frequently. These costs, coupled with high tax, administrative and compliance costs and hedging costs, result in the cost moving upwards. Investors are satisfied with the tax currently levied on capital gains. Around two out of three respondents felt that tax rates on capital gains were moderate or low. This makes overall tax rates in India attractive to foreign investors. About 57% believed that the government was making significant efforts to improve the country’s tax regime. Investors were concerned about the impact of GAAR on the Indian tax law. Around 78% of the tax managers and 42% of the portfolio managers were concerned about the impact of GAAR on the Indian tax law. These results suggest that the Government should provide further clarity with respect to GAAR provisions. Also, there is a need to rationalise offshore transfer provisions, especially for India-focused funds, as these funds are at a tax disadvantage compared to global funds. 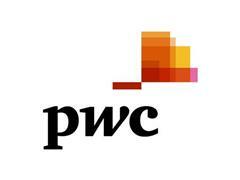 PwC refers to the PwC International network and/or one or more of its member firms, each of which is a separate, independent and distinct legal entity in separate lines of service. Please see www.pwc.com/structure for further details.